It is an extinct volcano with twin cones reaching 18,510 feet (5,642 metres) at the west summit and at the east summit it is 18,356 feet (5,595 metres). The volcano was formed more than 2.5 million years ago. Sulphurous gases are still emitted, on its eastern slopes, and there are many mineral springs along its descending springs. The summit is capped in year round, and is covered by 22 glaciers sprawl from its slopes, which feed the Kuban River and some of the headwaters of the Terek. The mountains and its vast glaciers cover 56 square miles. The summit provide spectacular views of the entire Caucasus. The standard route of Elbrus is long and exhausting but not technically difficult. The biggest danger is the the weather which can be particularly nasty on this mountain. Besides the standard route and the northern route, there are many much more difficult routes on this mountain, though they are very seldom climbed. The climate is more efficient for climbing in July and August, when the weather is at its most stable form. In summers, at night time the average temperature is nearly -8°C (18°F). Temperatures above the snowline can flow as low as -30°C (-22°F) during the day. During the day in Winter, as it is coldest in the western part. It lasts from the October to April about 6,562 feet. When the mountain is inland, it is positioned between the Caspian Sea and the Black Sea. These two large bodies of the water that have an impact on wind and precipitation. In order to get to Mount Elbrus you need to arrive at the airport Mineralnye Vody (MRV). There are daily direct flights from Moscow and Saint-Petersburg. The main carriers from Moscow are: Kavminvodyavia, Aeroflot, UTair, SkyExpress; and from Saint-Petersburg : Rossiya Airlines. You can get from Moscow to Mineralnye Vody or straight to Kislovodsk also by train. Distance is about 1,550 km, time spend in train : to Mineralnye Vody is 25 hours where as to Kislovodsk is 27 hours. From either of those two locations, there are usually 4-8 buses a day headed for Terskol, but it is highly recommended that you make transportation arrangement before arrivals. This is usually easy to arrange. From Terskol, arrange or walk for 5 km up the valley and along the road to Azau at 2,350 metres elevation. This is where first cable car station is, and you can’t miss it. From the cable car station you can take the ride of cable car up to the Barrels Huts (located at the Garabashi station) or you can walk too. The climbing to Mount Elbrus starts from here that is from Barrels Huts. The Barrels hut are huts which are found in a group of dozen, which are in a shape of barrels. These huts can be found at 12,795 feet (3,900 metres) elevation. This is a place where normally the climb begins to Elbrus. In these hut 48 people can sleep, but if it is really crowded you can squeeze more to it. The mountain scenery surrounding the huts are beautiful. The size of the Barrel huts can be bit shocking if you compared the huts from other places of the world. The place looks like an industrial complex with huge old power lines and wires all over the place. Near to the east of the huts there is a sizeable trash dump is located. The huts are not bad at all, they keep the weather out, but can be cold. In some huts there are small heaters but they don’t put out much heat. In the afternoon, you can get the running water nearby to the hut. 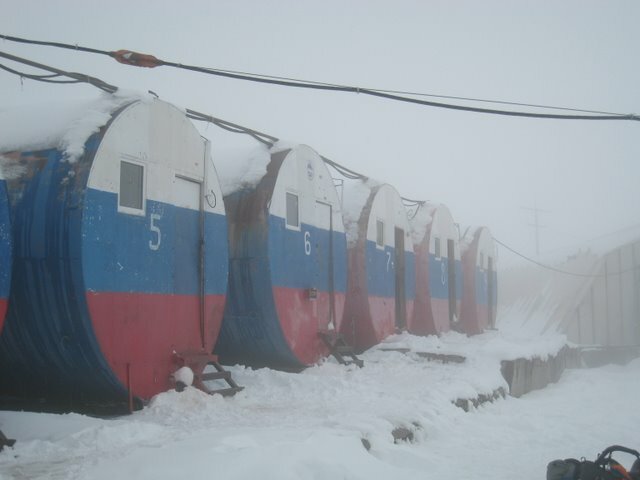 The Diesel Huts are located higher up the mountain at 13,638 feet (4,157 metre) elevation. It is a newly constructed hut made up of wood. In this hut 20 people can sit simultaneously,it is dry from inside, and the huts are in good condition. These hut have heaters but still due to extreme coldness it is cold. In these huts also you can get running water in the afternoon. There are lot of things to do and see at in Elbrus region before or after climbing. The main activities can be done in the location in the Baksan Valley (southern slope of Mount Elbrus) and in town of Kislovodsk which is located 50 km to the South from Mineralnye Vody. Baksan Valley : It is one of the most interesting and picturesque areas in Kabardino- Balkaria. Here you can visit Banya and Sauna for Spa. Numerous cafes and restaurant are there.Here you can find a small market, a hospital, few shops, small drug store, food store, tourist bases and hotel. You can hire a mountain bike, do fishing and trekking and this place is famous for skiing. In the month of August, you can find some ripen berries in forest like strawberry, blueberry, red bilberry, etc. 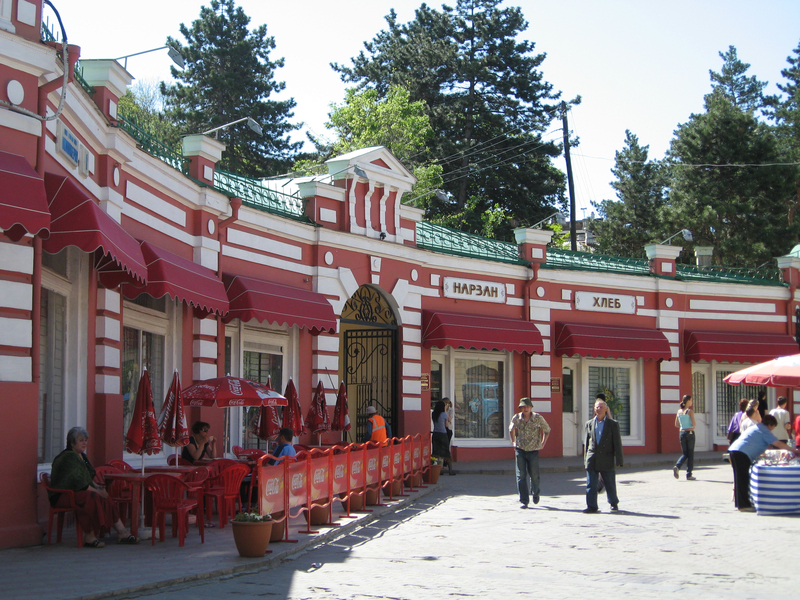 Kislovodsk Town : This popular SPA-town is located 50 km to the South from Mineralnye Vody by road and only 65 km from Mount Elbrus in a straightline. So, when you access to the highest point of Kislovodsk either by using gondola lift or by walking, you can see Elbrus in front of you. It is a lovely town with a huge park, mineral springs, baths, nice building built by English, Belgian, and Italian architectures. Rock Climbing at Kislovodsk : If you are a rock climber or just love to climb you will definitely love it. There is a rocky canyon with next to Kislovodsk with more than 70 rock climbing routes of different difficulties. Travel agents can arrange transfers, rock climbing equipment, instructor services and lunch with a beautiful view on the top of canyon. Jeep Safaris : You can enjoy the full day Jeep Safaris to the Northern slopes of Mount Elbrus. While taking the ride on Jeep you will see wild nature, huge rocky canyons, waterfalls, mineral springs, white caps of the grand Caucasus mountains. In between you can have your lunch over there.